Last week the world’s climate scientists issued their most urgent assessment yet. Their message was stark – we have only a few years to limit global warming to 1.5°C. To be precise, 12 years to act on climate change. Already, with around 1°C of warming, we are living in a world of more destructive storms, rising seas, increasing water scarcity and other dangers. The people of Tibet are seeing the world disappear in front of their own eyes – the glaciers on their mountains are melting, and the grasslands are turning into deserts. Yet right now the world is on a path to over 3°C of warming – a level that would put the very future of human civilisation in jeopardy. But there is another story. One that all too often gets lost beneath the apocalyptic headlines. The truth is, we have the solutions. What’s more, tackling climate change must and can go hand in hand with upholding human rights and overcoming the deep injustices faced by some of the world’s most vulnerable communities. To understand how we asked a climate expert to tell us what the new special report from the Intergovernmental Panel on Climate Change means for Tibet. Tibet, as we all know, is of critical importance to the global environment and to the lives and livelihoods of people across Asia. 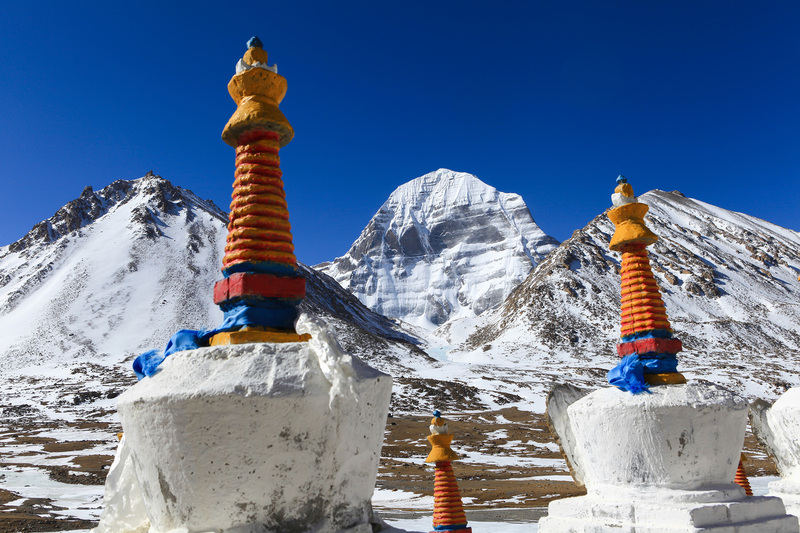 Tibet’s glaciers are the largest store of fresh water outside of the polar regions. It is the source of Asia’s great rivers and an engine of the Asian monsoon, upon which millions of people depend for their survival. The Intergovernmental Panel on Climate Change report reaffirms that Tibet and other mountainous regions are “climate change hotspots” and are being hit first and hardest as the world warms. Moreover, that changes in such regions have grave implications for water security, through the melting of glaciers and changes to river flows. In other words, what happens in Tibet has consequences not only for Tibetans but the countless numbers living downstream across Asia who depend on Tibet’s water. The report shows how higher levels of warming would see significant changes to Tibet’s vegetation and precipitation patterns, profoundly altering the conditions upon which Tibetans depend to raise their herds, grow their crops and sustain their livelihoods. It also reaffirms the importance of traditional and indigenous knowledge and practices, both regarding adapting to the impacts of climate change and in curbing global climate pollution through protecting vital ecosystems. As we argued in our report Tibet: An Environmental Challenge, released in the lead up to the Paris climate conference, Tibet’s nomads and farmers, who have been custodians of Tibet’s unique and fragile environment for millennia, must be regarded as part of the solution to climate change. China’s white paper on Tibet’s environment released a few months ago negates the role of Tibetans as vital stewards of their fragile high-altitude land. It outlines the Chinese leadership’s efforts to remove Tibetan nomads from the grasslands, a policy that is as self-defeating as it is unjust. Although carried out on the grounds of environmental protection, the controversial plan has compromised the ecological balance of the Tibetan Plateau. However, in recent years, the Chinese government has increasingly used the language of “environmental protection” as a smokescreen to persuade the international community that its policies are aimed to fight climate change. The reality is that unregulated building of dams, mining and the forced displacement of nomads and farmers have had a devastating impact on Tibet’s fragile ecosystems. The best way forward is to ensure that Tibetans have control over their land and resources, are able to maintain their traditional livelihoods and are able to develop Tibet on their own terms, including saying no to the destructive development policies of the Chinese government. This new report by the world’s top climate scientists is a battle cry for action to protect our planet Earth and the human rights and dignity of vulnerable communities worldwide including the Tibetans. From the Pacific to Tibet, it demands that we listen to those on the frontlines of the global climate crisis. Never has the climate crisis been more urgent, nor what happens in Tibet been more critical to the rest of the world.